Across sub-Saharan Africa, renewable energy companies are looking for ways to reach the 600 million people who currently lack access to reliable grid-connected electricity. 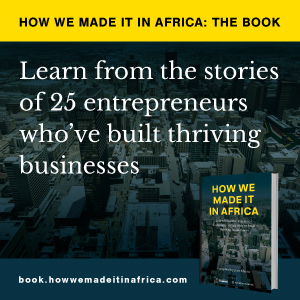 How we made it in Africa takes a look at a few of the most innovative solutions. Tanzania-based Juabar, (‘Jua’ is Swahili for sunshine), offers mobile-phone charging facilities to people living in off-grid areas. The company manufactures solar-powered kiosks fitted with a 50W solar-PV system that can charge up to 20 phones at a time. The kiosks are an entrepreneurship opportunity, too. “Juapreneurs” pay a monthly fee of TSh.80,000 (US$36.50) to operate the kiosks as franchisees, and are at liberty to set phone-charging prices, with most ranging from TSh.300 to TSh.500 ($0.14 to $0.23) per phone. According to Juabar, its franchisees charge 20 phones a day on average. Independent power producer BioTherm Energy focuses on the development, financing, construction and operations of wind and solar projects. Founded in 2003, the company has to date developed three wind and solar projects in South Africa, generating a total of 49MW. In 2008, energy and commodities-focused global private equity firm Denham Capital backed BioTherm with $150m – at the time the largest renewable energy investment ever made on the continent. The company was also the first to monetise carbon credits. BioTherm is eyeing projects in 10 countries across the continent and has already secured 250MW of power purchase agreements (PPAs) in seven countries. Formerly known as Ubbink East Africa, Solinc is the region’s first solar-panel manufacturing plant. Established in 2011, Solinc makes solar panels from 20W to 300W, and is also involved in the assembly of complete home solar kits that include batteries, phone chargers and LED lights. The plant’s current manufacturing capacity is 140,000 solar panels per year, and it plans to double this within the next 18 months to meet rising demand. The products are sold in Kenya, Uganda and Tanzania through a network of independent dealers. Solinc also supplies solar companies such as M-KOPA and Mobisol, which sell to customers using pay-as-you-go models (see below). This pay-as-you-go solar energy company connects 550 new households across Kenya, Tanzania and Uganda to solar power each day, and has to date connected more than 375,000. M-KOPA’s entry-level, GSM-enabled home solar system features a battery, phone-charging facility, lightbulb, and a chargeable radio. To obtain the system, customers make a $34 deposit, and pay off the balance over a 12-month period in daily usage credits of about $0.50, remitted to the company via mobile money. Last year, M-KOPA began selling other products to encourage customers to continue their subscription once the solar-system is paid off. The products include a 16-inch solar-powered TV, bicycle, smartphone, water tank and a cooking stove. M-KOPA also offers loans to pay school fees. Households who have paid off their solar-system then essentially use that system as collateral to acquire these additional products, most of which contribute to sustainable energy usage. This Kenya-based manufacturer of energy-generating roofing tiles, or building-integrated photovoltaics (BIPV), seeks to entice homeowners with the prospects of making additional income from selling extra power to the grid. Unlike conventional installations, where solar panels are mounted on the roof, Strauss makes roofing tiles that have solar cells infused into them. It costs between $4,000 and $5,000 to roof a three-bedroom house. However, Strauss claims that homeowners will recoup their money within three years by selling excess power back to the grid. Buyers also have the option to install just enough solar tiles to meet their energy needs. Solektra International is the company behind the Akon Lighting Africa initiative, co-founded by RnB singer Akon. The initiative claims to have installed 100,000 solar street lamps and 1,200 solar micro-grids in 15 different countries. The company has developed several solar products, including the ‘Free Light SOL-SL01A’, an LED light powered by a photovoltaic panel and lithium battery, which aims to replace traditional oil lamps. Last year Solektra launched the Solar Academy in Bamako, Mali. The academy will build capabilities in the energy space, with the goal of training 200 skilled workers, technicians and engineers every year to install and maintain the products. This engineering and construction company works to convert agricultural waste into electricity. The company launched Africa’s largest grid-connected biogas plant in Naivasha, Kenya in 2015. The $6.5m Gorge Farm Energy Park generates 2.4MW, or roughly 0.1% of Kenya’s electricity capacity, using organic crop waste sourced from Gorge Farm, an 800ha vegetable farm owned by East Africa’s largest fresh-produce exporter, VP Group. Construction began last year on a 10MW grid-connected solar PV plant that will be added to the energy park. By 2018, Tropical Power plans to have built renewable power assets across Africa, producing over 130MW. The company has already begun work on a biogas and solar project in Ghana, at the south-east corner of Lake Volta.